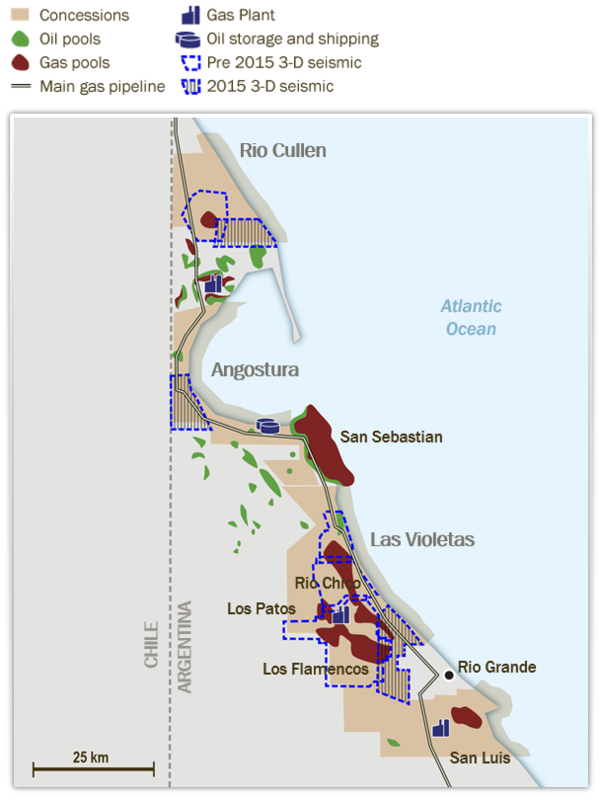 Crown Point has a 25.78% non-operated working interest in the Rio Cullen, La Angostura, and Las Violetas Exploitation Concessions in the Austral Basin of Tierra del Fuego, representing a total of 489,000 gross acres (126,000 net acres). Crown Point’s strategy is to grow production from its assets in Tierra del Fuego via exploration and development drilling, supported by extensive 3D seismic coverage. On August 9, 2014 Crown Point received formal notification of its inclusion in a New Gas Subsidy Program, under which the Argentine Government provides an incentive for producers to earn higher natural gas prices for production above a base corporate level. The New Gas Subsidy Program will remain in effect until the end of 2017, and may be extended at the discretion of the Argentine Government.